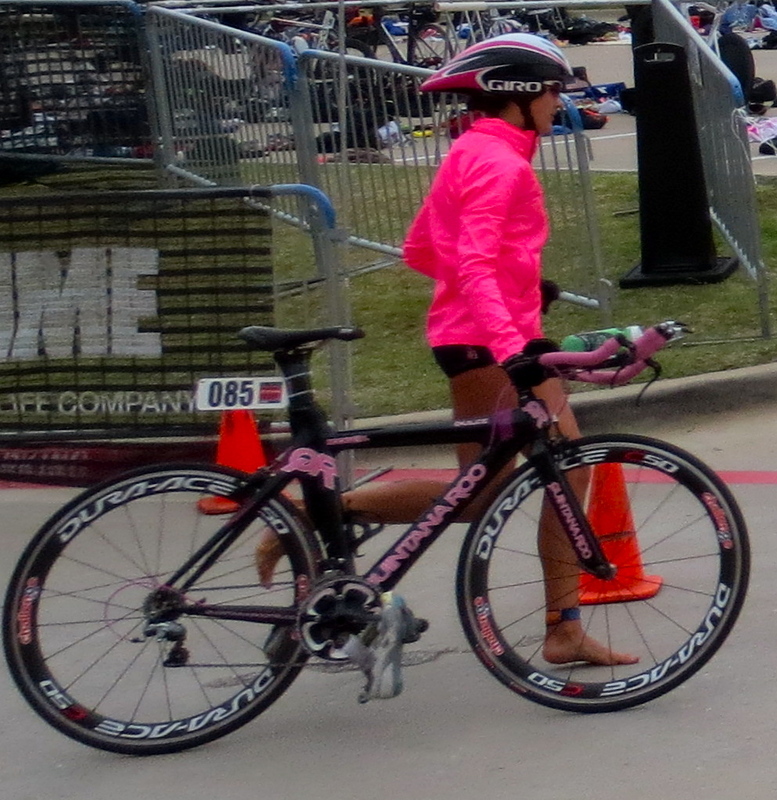 I had started a post after my last race in Dallas with the intention to deliver a full race report, but I never finished it, and probably would not be able to give a very exciting or accurate recall of race day. What I can tell you is that it was freezing! Air temp was 47 degrees and water was 72, the swim was actually the warmest part of the whole race. As always it was a great learning experience, I know how to transition better when adding cold weather gear before the bike and after racing against the top elite amateurs in the country, Coach T and I have a better idea of what we need to work on this off season. Lets just say I’m revisiting my high school days and can be counted on to reek of chlorine at all times. The most important part of transitioning into the offseason is taking the time to thank all those who made it possible. First I would like to say a huge thank you to my first ever sponsors, Zoolender.com, Challenge Handmade Tires, and Rockwell Watches. It was such an honor to represent your organizations this season. Knowing that others believe in my goals and dreams and are willing to invest in me, and help me achieve them, is an incredible feeling. Heading into 2013 I’m looking forward to adding a few more sponsors to the list, I’ll let you know more about those as they are finalized. Triathlon is a very mentally and physically demanding sport, and every year triathletes take part in what we fondly refer to as “the off season”. Now the off season is a funny thing, often associated with weight gain, and sleeping in, many triathletes fear this time of unstructured workouts and the concept of free time. The OCD personality found among many triathletes makes taking a break a very hard thing to do. However, what I have come to realize in only three short years of the sport, is that taking a break is actually a good thing. We constantly push ourselves to go, go, go, all season long, doing 3-4 workouts a day and only thinking as far ahead as the next workout. That is why every once in a while it is absolutely crucial to just… stop. I think the biggest fear with this is that all the momentum we have built up, all the fitness from hard workouts and training will be lost. That when it’s time to get going again the initial speeding up is going to take too long, or that we won’t be able to get back to our previous breakneck speed in life. This is simply not true. Taking a break lets our bodies catch up, repair the muscles we break down every day, let any lingering injuries heal, and give the mind a break so that when it comes time to race again the mind is strong enough to once again push the body beyond the limit of what is comfortable. Off season also gives an athlete a chance to reevaluate other areas of life. As a senior in college with only a month left in my fall semester, other areas of life means that ever-impending “real world” thing. Not only that, but I get to look at other aspects of triathlon that I may have forgotten about, like the fun in going out for a thirty minute easy run just to admire the quirky characteristics of houses around my neighborhood. Don’t get me wrong, going fast is fun, but sometimes we go so fast we don’t have time to look around and appreciate where we are at in the moment.